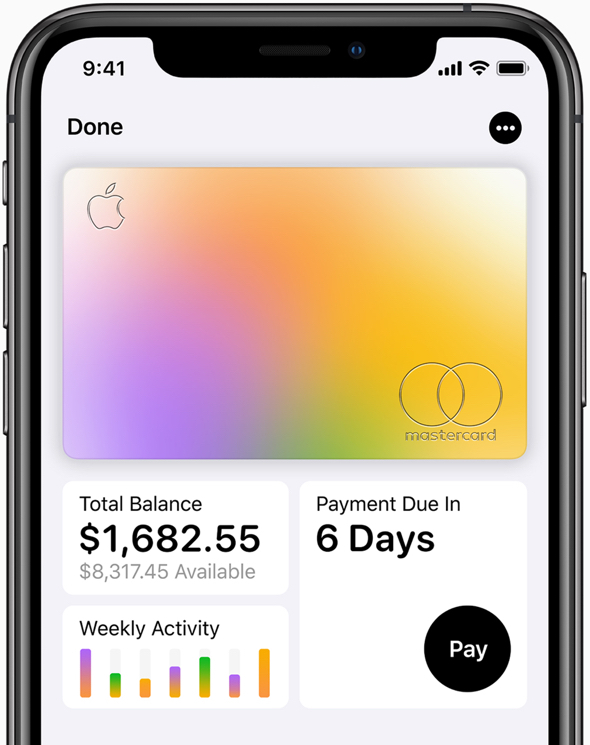 The biggest news of Apple’s “It’s Show Time” event, by far, was Apple Card. What was our very first reaction to the physical Apple Card? Hundreds of millions of Apple users will have or have already had the same reaction. Apple is about to generate huge profits out of thin air. 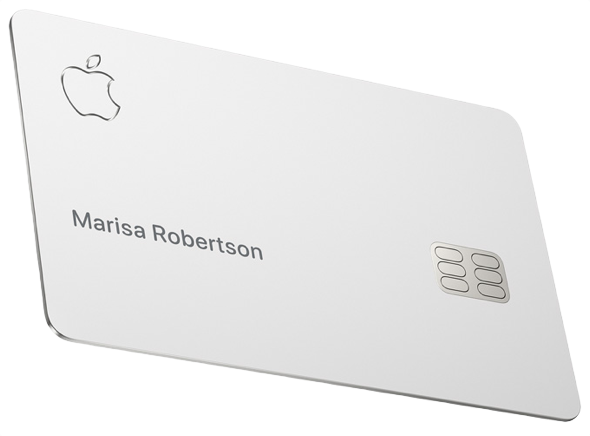 Apple just revolutionized another industry with Apple Card. Interest rates on this card are high. 13 to 24%. That is lame. Any links that confirm your say? I am ok with 13-15%. Since you get cash back every day I wonder if you will get charged interest every day, like no 25 day grace period? I was wondering the same thing when I saw the part suggesting you make more frequent payments (every 2 weeks). Is that the frequency of interest? It could’ve just been for those who need to manage payments paycheck to paycheck. On the other hand Apple Card makes so many changes for the better, it isn’t safe to assume everything else about it is the same as traditional cards. credit card rates, like payday loans, should be capped by law. if a company feels it has to charge 5 or 10 times the prevailing Fed rate because some borrowers are “too risky” then obviously banks shouldn’t extend credit to these people. especially when the average public has no financial education whatsoever. it’s immoral. to this day banks and loan sharks are preying on people knowing full well they can hide the bad loans in complex financial derivatives which will be bailed out when the debt blows up again. wash, rinse, repeat. it doesn’t help that the current administration thinks usury is just peachy. I believe it was in the early 1980’s that California changed it’s usury laws in response to changes in the economy. Prior to that, charging anything beyond 10% interest was illegal. According to FindLaw.com: “Federal law does not mandate interest rate limits for credit cards, but credit card companies must follow certain federal rules under the Credit Card Accountability, Responsibility, and Disclosure Act of 2009 (Credit CARD Act).” Basically if the agreement is acceptable to the recipient of the credit card the rate can be anything. There was actually a card at 79.9% by Premier Bankcard, a South Dakota credit card marketer reported on back in 2010. Apple will bring over significantly more Android users to the light side than before thanks to their desire to possess “The Card”. Great job Apple. Watch Scamsung and other droid peddlers scramble to copy this but with the typically droid insecurities involved. I absolutely love using ApplePay…i just wish more merchants accepted it. I think they said yesterday that in the US 80 (or 85%?) of merchants accept it. That’s certainly not my experience with the stores I frequent. There are more terminals that accept contactless payments than you might recognize. I have noticed the contactless logo popping up after I have already inserted by card in the slot. If more terminals displayed the type of payments they can process on the terminal itself, not just the screen, I think you would be surprised how many of them can accept Apple Pay. I like the Titanium Card itself. Otherwise, my rewards from my bank is simply way better. They can’t beat what I get back by a mile. The Card though I would get it to collect it. I agree with your assessment that 1% is not impressive. We’ll see if competition leads to any change in the future. However, given the massive regulatory structure that banks must operate under, the thought of Apple trying to enter that field (assuming they would be allowed to in the fist place) would be a huge undertaking. I think it was not only smart but imperative that they partner with an issuing bank. I can imagine the howls if Apple had announced the card saying it will be available in a few years after we get out bank up and running. Apple could just buy a medium sized bank. I have a 0% APR card right now for 18 months. I already have other offers for 0% APR cards and will switch when the time is right. I am not paying 14% and up regardless of a kickback from Goldman and Apple. Banks currently get money from the Fed for 3% and pay less than that on deposits- BTW. If Apple wanted to disrupt things, they could have offered a Credit Card to good risks at 5-6% and destroyed the banksters. Instead, Cook partnered with the sleaziest outfit on Wall Street at the prevailing usury. Just wondering if there’s anything in the DNA of this service that would make it more likely to become the safe-efficient mode of payment at cannabis shops. I run with basically 4 credit cards: Discover and Chase Freedom for the 5% cash back categories that change every 3 months; Citi Double Cash for 2% on the categories not covered by the first two above and a Capital One Quicksilver for 1.5% when I can’t use the Double Cash card due to it being a Mastercard. All have no Annual Fee and are chipped. Oh, forgot about my Chase Amazon Visa for 5% off all Amazon.com and Whole Foods purchases (additional 10% off for yellow tagged items).